Saigon or Ho Chi Minh City, 2008 – Brought back memories of my childhood from Madras (today called as Chennai), India of 1970s. Not many skyscrapers, nevertheless the busy roads, and people running around like bees, but that is where my fond memories of Madras lies, as I grew up in Madras. Moving forward to 2008, when I planned for my backpack trip to Indochina with my friends, never did I imagine I would see my Madras again. I flew into Saigon or Ho Chi Minh City, as it is called now, from New York, through Hong Kong after a 25 hour flight. After clearing the immigration along with my friend, I got hold of a cab to go to Pham Ngu Lau, the famous backpackers’ area of Saigon. That is when it dawned upon me the similarities which kindled the pleasant memories in me and I took an immediate liking to the city. We rented a hotel at the edge of Pham Ngu Lao, across from 23/9 park, which was pretty close to the famous Ben Thanh market in District 1. This hotel was called Giant Dragon but renamed as Dragon palace hotel recently. We found the hotel clean enough and had basic amenities. Do note that you handover your passport and be assured, it is safe with them, though we were concerned initially. We hit the famous Ben Thanh evening market as it was 6 pm by the time we got ready and came out of the hotel. We found some famous brands for less. The thumb rule is to slash the price by 50% of what they ask you and even less if you are willing to walk away if you want to let go of it, which we were willing to do as it was just our first day and we did not want to fill up our bags with new things unless we got rid of some of the old stuff we packed with us for the trip – Yes, we brought in old tshirts so that we can get rid of those as we travel. Being the Saturday night, we observed there were lots of motorcycles and lots of young couple on the motorcycles going around the city both driving on the road and in the pavements. We found out that it is a common practice among the people during the weekend nights. 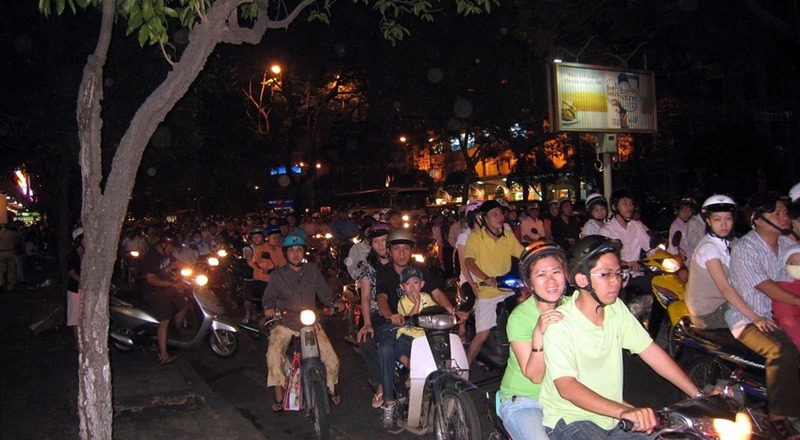 Couples and Families in Saigon entertain themselves during weekends driving around in groups. We were so excited with Saigon that we hated to get out of the city lest we might miss out on something. Also we had already decided that the tourist places will be secondary to us as we wanted to be among the locals and soak as much we can about the Vietnamese culture (Truth to be told, I am a huge fan of Anthony Bourdain and Andrew Zimmern and their influence was definitely on me, if not on my friend). So we missed out on some activities like visiting Cu Chi tunnels, touted as a ‘must see’ place, if you are visiting Saigon. Also we gave it a skip to the Golden Dragon water puppet theater as well. 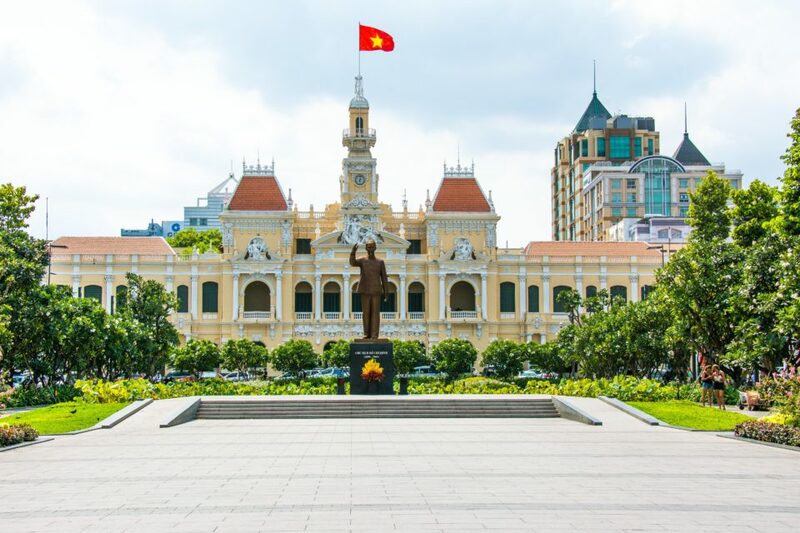 But we saw few places like Saigon Opera House (Ho Chi Minh Municipal theater), War Remnants Museum, reunification palace besides the above mentioned Ben Thanh market. 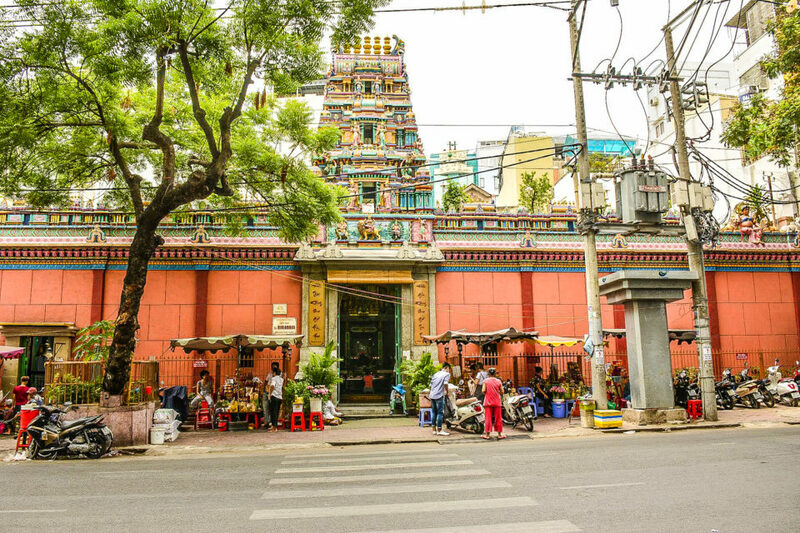 Though for the first day, we were either walking or renting taxis, from 2nd day onwards we started using the Xe Om or Motorcycle taxis which I liked very much as I was able to whip up conversations with the Xe Om driver and understand the nuances of Saigon. I must warn here that some might offer you weed or drugs, but a polite no would manage the situation. Do note that Vietnam is still a communist country where laws can be severe. 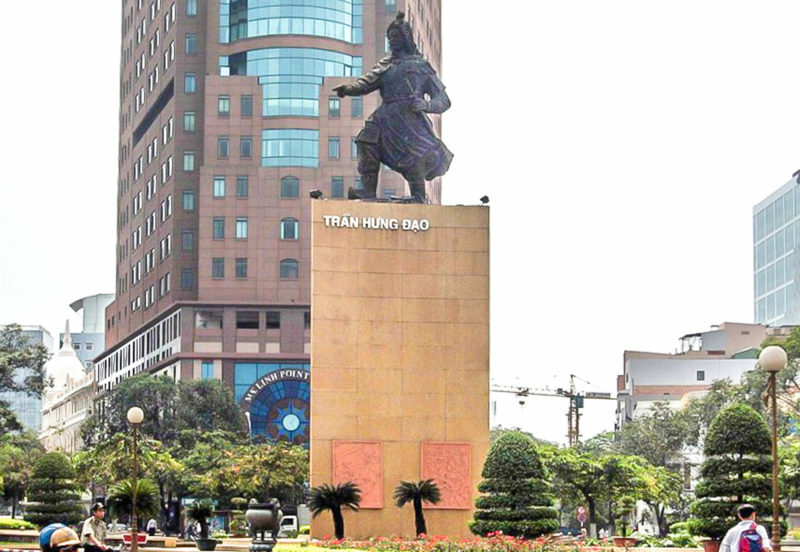 Statue of Tran Hung Dao – He commanded the Dai Viet armies in 13th century against 3 major Mongol invasions and repelled them. He is considered one of the significant master tacticians in the history. We were eating mostly Pho for our lunch as we had taken a liking to it so much and it never left a huge hole in our wallets. The currency used is Dong and roughly translates to 16000 dongs to 1 US dollar. So when you withdraw money from the ATM, you feel like a millionaire as the ATM would spit out couple of million Dongs, and so there I was walking like Borat saying to myself ‘King of the Castle’. In the evenings we made it a point to return back to Pham Ngu Lao to soak in the atmosphere, where we were meeting backpackers from different countries partying consuming local beer till early morning. Imagine the atmosphere of about 30 frenzied but friendly crowd of backpackers from various countries sharing a common invisible bonding and engaged in conversations all around? This is a must have experience in your travel life and that is the reason I highly recommend being in the backpackers’ area as you feel very safe as well. Traffic crossing itself is a skill here and one thumb rule is ” Your Safety is not your responsibility, It is other people’s responsibility” . They will see to that you are not harmed while you cross the road. Call me crazy, I attempted it several times at different times and proved that theory. 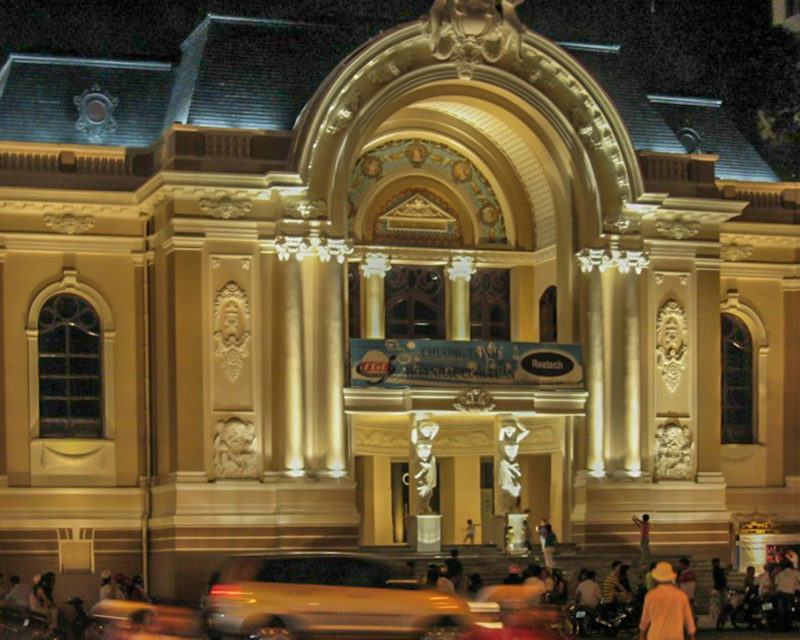 Municipal Theater of Ho Chi Minh or Saigon Opera House was built between 1901 and 1911, and shaped like the Opéra Garnier in Paris. 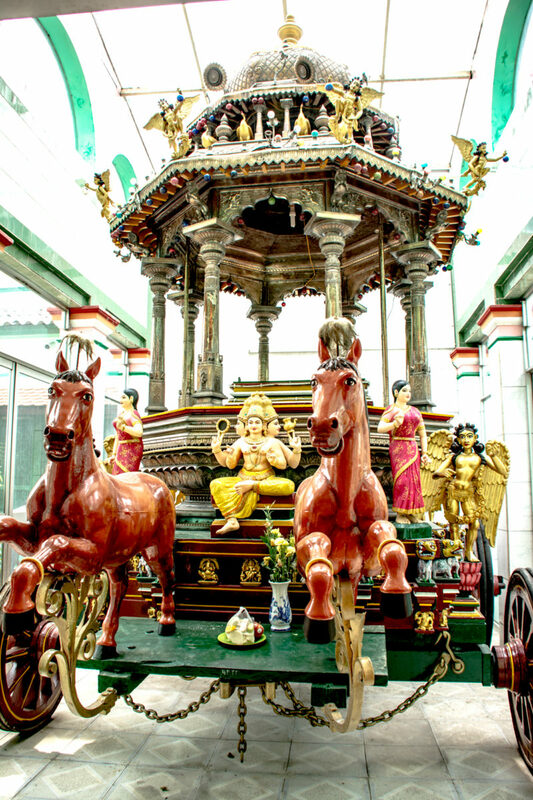 Another curious observation was the presence of Hindu temple for Tamil goddess, Mariamman, built by Tamil traders from India in the 19th century, though I was aware of the influence of the Great Chola empire in these regions.This temple is situated very near Ben Thanh market. Saigon is very safe except for the basic law and order issue like snatching of camera. 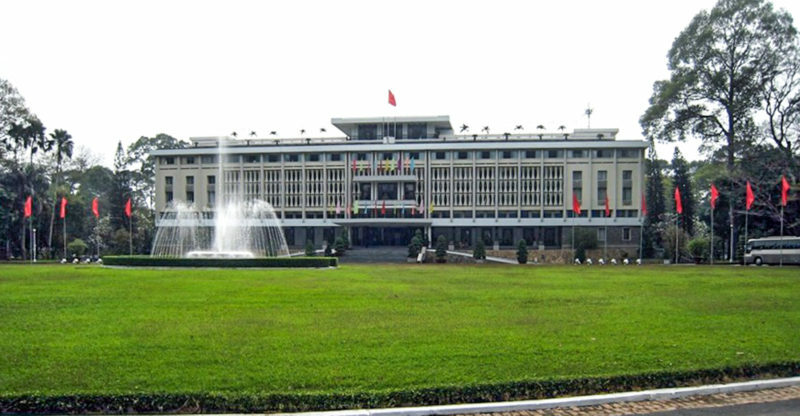 Ho Chi Minh City People’s Committee Building was buult in 1908 as Hotel De Ville using French Colonial architecture. Stay in Pham Ngu Lao backpackers’ area in District 1 as this place is very safe with Tourist police providing the safety. 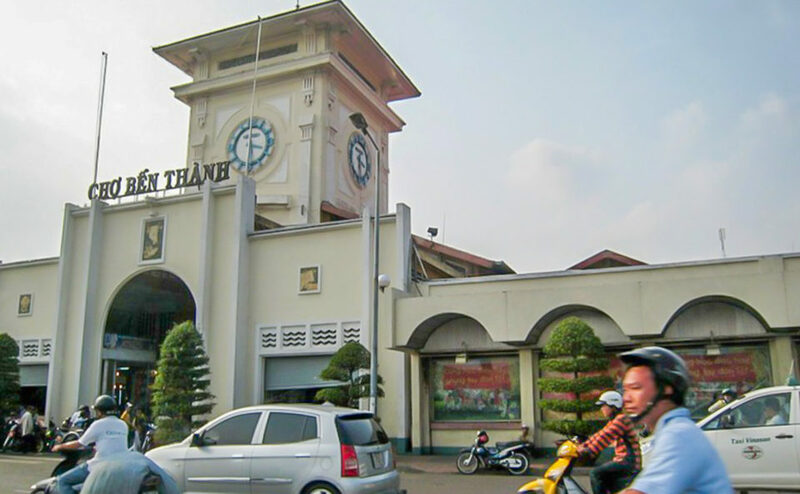 It is also near to popular attractions like Ben Thanh market and the evening social joints. Also the backpackers’ area teams with people from different countries and in itself is a cultural experience. Xe Om is safe unlike what many sites claim. They provide you with a helmet and for a $1 you can get to most places within the city. Try the street food as this what provides one with rich cultural experience and is much tastier than the restaurant foods and will not leave a hole in your wallet. Bus travel is the best way to travel to Phnom Penh, Cambodia and book through Sinh Cafe as it has the reputation for satisfactory travel related services. Try a train travel to Hue’ or Hanoi as it provides one the best view of the country. Finally, refer to www.travelfish.org and www.seat61.com for any SE Asia travel related information. www.travelfish.org has local information about Saigon and other places.